Belgian corporate insolvencies recorded yearly increases in the years 2007-2013. 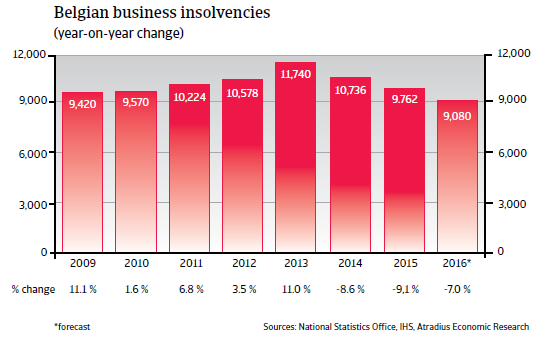 In 2014 business failures started to decrease again, and these are expected to decline by 7% in 2016. With about 9,000 cases forecast, the number of insolvencies will still be higher than the levels seen before the start of the global credit crisis in 2008 (see chart below). 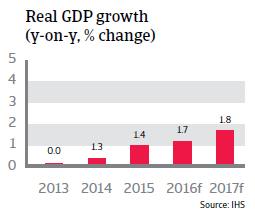 Belgian economic growth accelerated to 1.3% in 2014 after two years of weak performance, and this improvement continued in 2015, with 1.4% growth. In 2016 the economy is expected to increase 1.7%, with net exports contributing positively to Belgium’s economic performance and industrial production increasing. 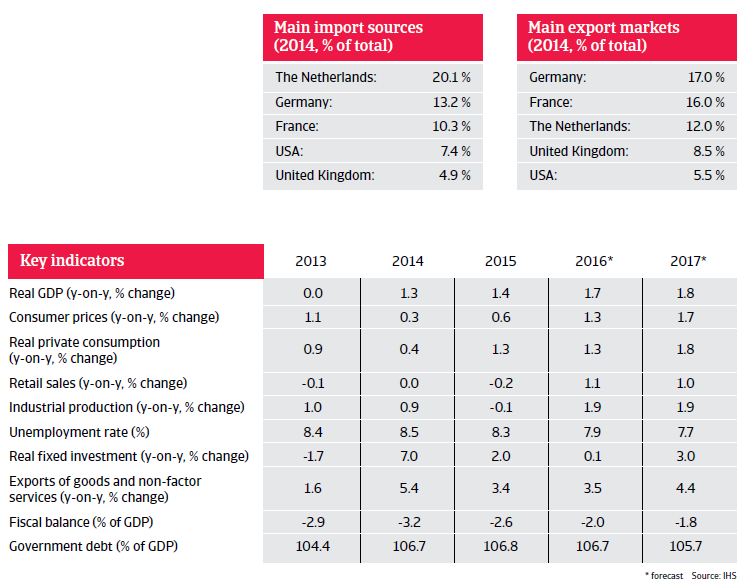 As Belgium is an export-driven economy, its balance of trade should be structurally positive. Private consumption growth is expected to remain subdued in 2015. While unemployment is forecast to decrease, household spending is expected to be restrained by the on-going fiscal consolidation and wage restraining measures. It is anticipated that consumer price inflation will accelerate slightly in 2016, and reach 1.3%. 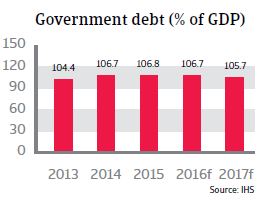 The yearly fiscal deficit is expected to decrease further in 2016, supported by on-going austerity measures. However, public debt will remain one of the highest in the European Union in terms of government debt-to-GDP ratio. 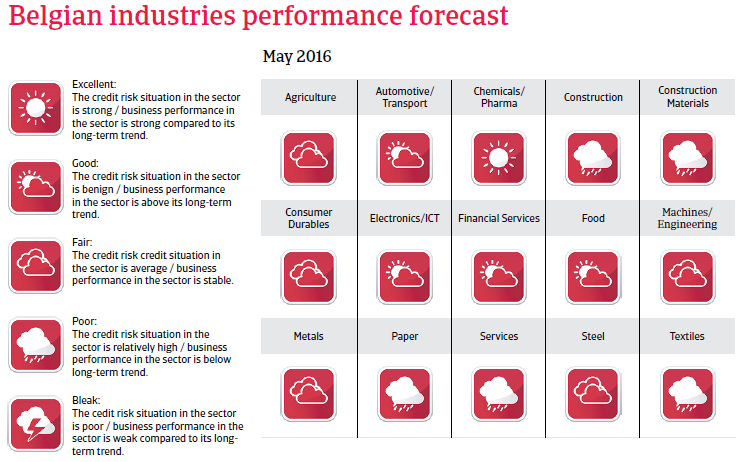 With poor demand, on-going pressure on prices and a high number of insolvencies, the construction sector in Belgium is going through difficult times.